Warm sunny beaches, lush tropical forests, awe-inspiring architecture - these are the places where one can say “I do” for life. Penang offers more than just a wedding destination. It boasts a mélange of multi-cultural traditions where Malay, Chinese, Indian and European influences co-exist. 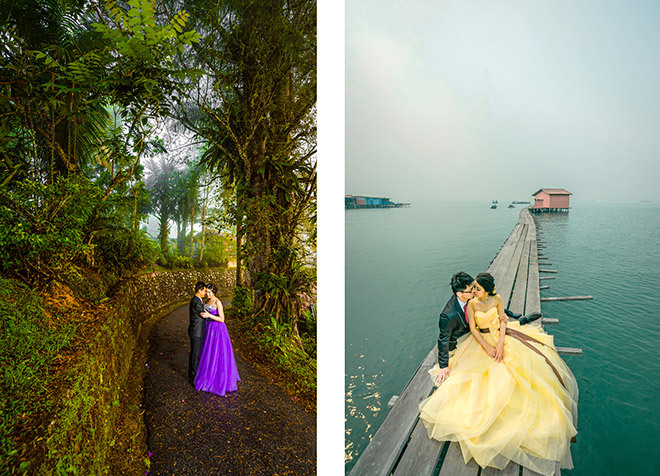 Thus, Penang has a wide range of themed weddings from contemporary to traditional Peranakan, Chinese, Malay and Indian. Coupled with these, the breathtaking sights and unique locations in Penang offer a memorable once-in-a-lifetime experience. 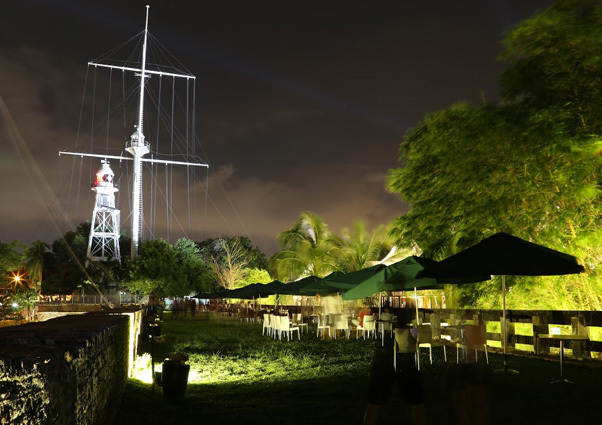 The UNESCO World Heritage Site in George Town provides a glimpse of the past decades. Home to many Penangites, George Town possesses a fascinating fusion of eastern and western influences. Up till today, you can explore George Town in vintage trishaws as well as discover and learn traditional trades that are popular among tourists and locals. Iconic sites like Cheong Fatt Tze Mansion and Pinang Peranakan Mansion are heavily steeped in history, inviting everyone to reminisce the good old days. Our famous north coast strip comprising Tanjung Bungah, Batu Ferringhi and Teluk Bahang is home to world-renowned beach resorts, shopping and nightlife. This is where the sun sets painting a beautiful beginning for every newlywed. It is also a sanctuary to those who enjoy the lush tropical forests and be one with nature. Also popularly known as the Blue Mansion, Cheong Fatt Tze Mansion is a stunning Chinese heritage building that is fully restored. The grandeur of the building façade offers a perfect backdrop for wedding receptions. The spaciousness of the garden encourages outdoor marriage registration (ROM) with a cocktail reception to complement the restaurant on the first floor. The ambience of dining in the mansion is quite exquisite and memorable for any occasion. The whole mansion can be used for all of the weddings' various activities, like fetching the bride, a ROM in the garden or courtyard, luncheon, cocktail or dinner reception in the restaurant that caters to a maximum of 100 persons or it can be set up downstairs in the reception hall and courtyard for a maximum of 160 persons. Established in 1885 and now 131 years old, the E&O Hotel Penang exudes authentic British colonial grandeur and an inimitable brand of timeless glamour that few hotels can claim. With its colonial architecture, Moorish minarets and an enviable seafront vantage, the hotel itself is a stunning and romantic set up for wedding banquets, ceremonies and photography. 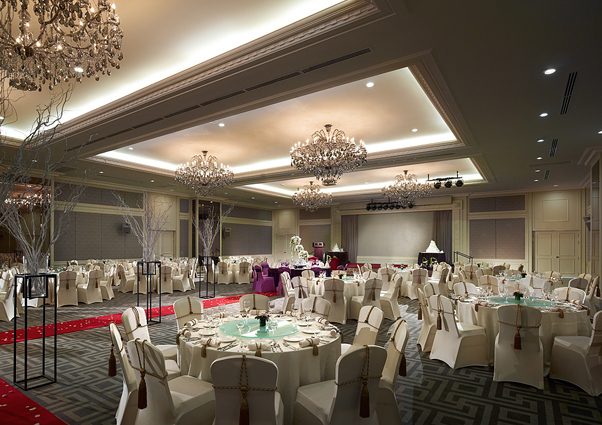 To host your wedding banquet, choose from the Grand Ballroom that seats up to 600 or the 300 persons' capacity Macalister Ballroom. The hotel’s seafront garden area serves as the perfect venue for cocktails and mingling of guests prior to the dinner reception. Choose from the E&O’s selection of wedding packages that include Chinese Set, Malay Hidang Style, International Buffet and Western Set menu options. 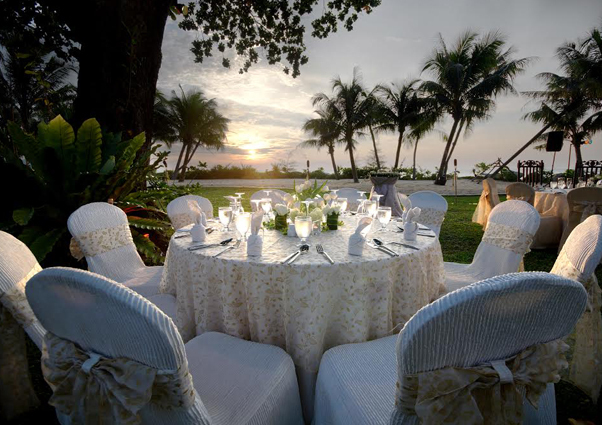 Hotel Equatorial Penang has the largest ballroom on the island with a foyer overlooking the beautiful landscape of Penang Golf Course - making it the ideal dream wedding destination. With the largest HD LED video wall on the island and raised ceilings of six meters (approx. 20 feet) in its two pillarless ballrooms, Hotel Equatorial Penang is an excellent venue for hosting a glamorous wedding reception, magnificent banquet or even vows renewal ceremony. Gazetted as a National Monument in 1976, the fort forms a vital part of George Town UNESCO World Heritage Site. The fort represented British protection and stability in a region of uncertainty, enabling the growth of Penang’s uniquely rich and diverse population. 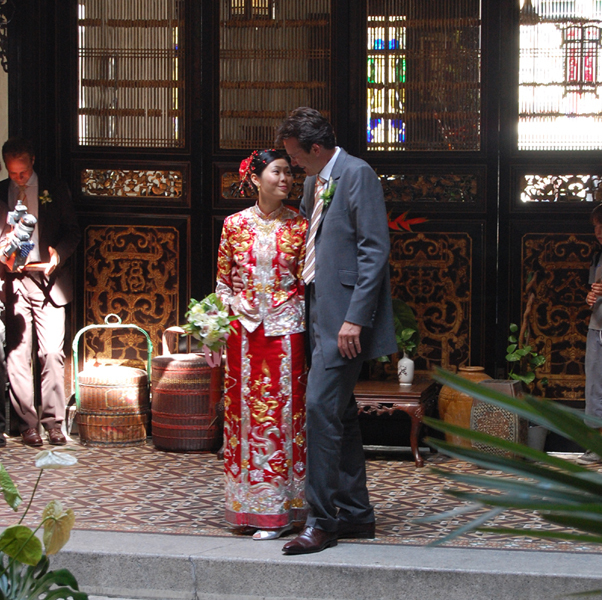 It is indeed an ideal location for outdoor wedding banquets with a taste of the rich history. Pinang Peranakan Mansion is a typical home of a rich Baba which has now been restored to its former glory after decades of neglect and decay. 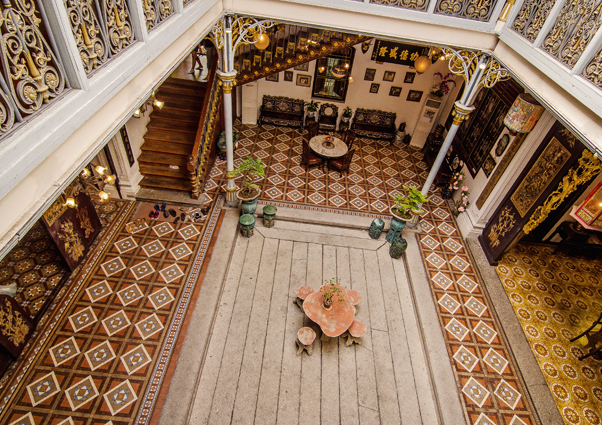 With its eclectic design and architecture, the mansion offers a traditional Peranakan wedding theme, creating a unique experience like no other. 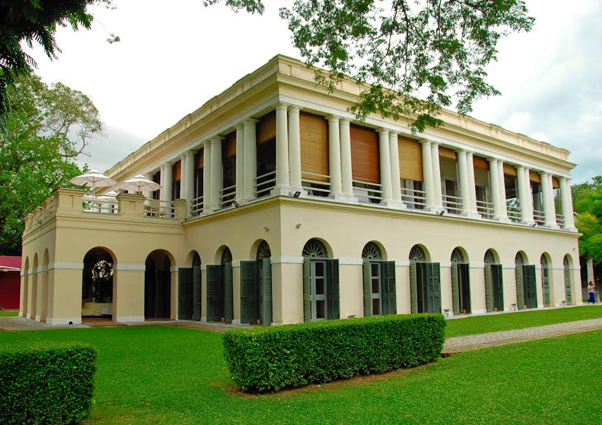 Built in the early 1800s, Suffolk House is a stunning example of an Anglo-Indian Garden House and Malaysia’s only surviving Georgian mansion. The earliest of the two buildings is notable for serving as the residence of Francis Light, the founder of Penang Island. It has become a must-visit destination after massive restoration. Both sides of the house are suitable for marquees big enough for 300 guests. A perfect venue for an unforgettable occasion. Everything you need for a truly beautiful wedding, PARKROYAL Penang Resort offers indoor and outdoor spaces that can be customised to reflect your personality and preference. Comfortably accommodating up to 350 guests, the Andaman Grand Ballroom is perfect for an elegant gala wedding, while its garden offers charming views of the sea. 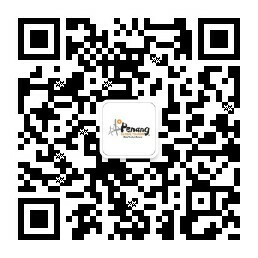 Both venues are easily accessible as it is located at the ground floor. Apart from our perfect location, the resort also tailor-make menus for Malay, Indian, Muhibbah, Fusion and Western with a choice of set or buffet style. The exclusive Shangri-La's Rasa Sayang Resort & Spa possesses a picturesque site offering lush greenery and white sandy beaches. Choose from the lavish green confines of the garden (30 acres), the marquee, the Rain Tree Garden, and the romantic beach which overlooks the Andaman Sea or opt for an intimate affair at Rasa Wing’s Garden. Each of these venues leads to breathtaking open-air ceremonies under the canopy of stars. 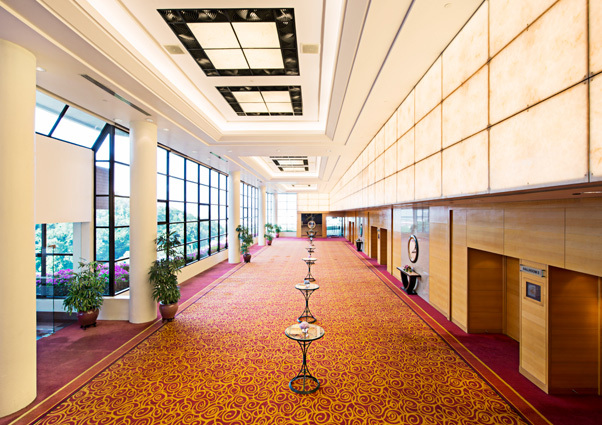 Its signature Pelangi Ballroom can accommodate up to 300 guests, banquet style. Your garden wedding is a once-in-a-lifetime event and calls for nothing less than a momentous celebration with family and friends. Choose to tie the knot within serene surroundings of the Bamboo Garden for up to 100 guests, against the tranquil backdrop of the Water Garden for up to 60 guests, or glamorously inside the Pavilion for 100 guests. 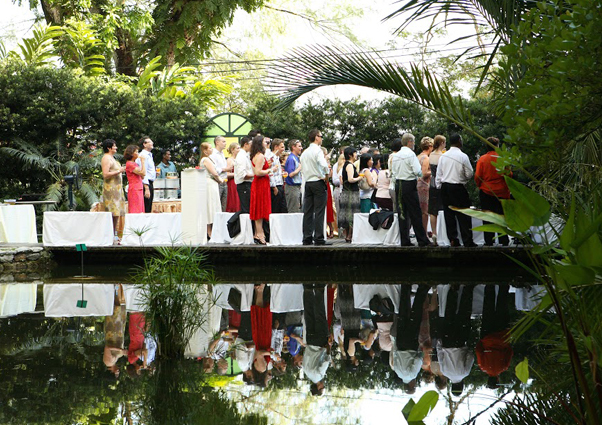 Our inspiring natural environment at Tropical Spice Garden combines holistic and thorough planning in order to present one of Asia’s most highly sought after tropical garden wedding venues. 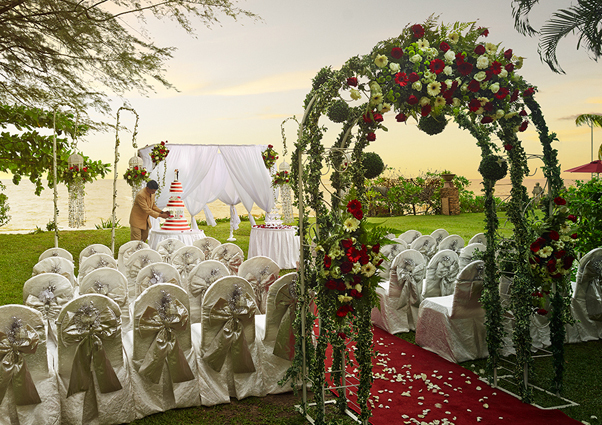 Celebrate with a peace of mind as its expertise ensures that you and your guests will have an unforgettable day.